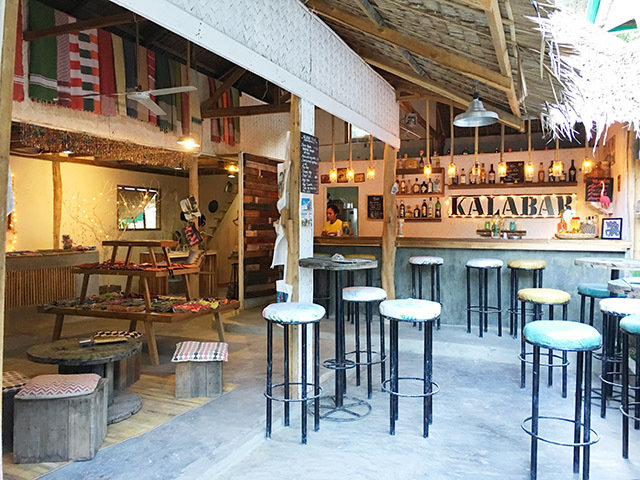 Our favorite bar in downtown El Nido is The Bazaar, which is what the locals call it, but you can also find it online under Kalabar and Lolo Banana Bar. 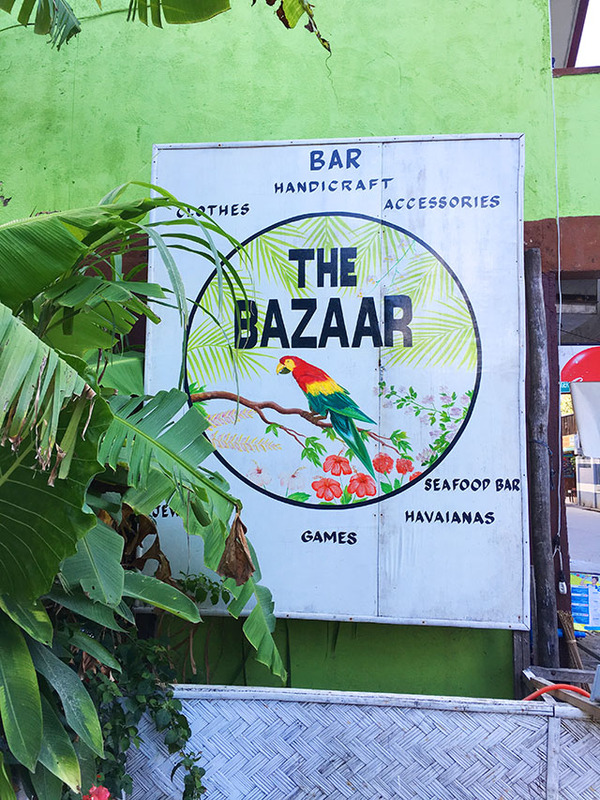 The Bazaar is a curated mixed concept space with an open layout, consisting of 3 restaurants, 3 shops, an island hopping tour booking office, a spa, and some games like darts and ping pong. This is where the local ex-pats hang out. 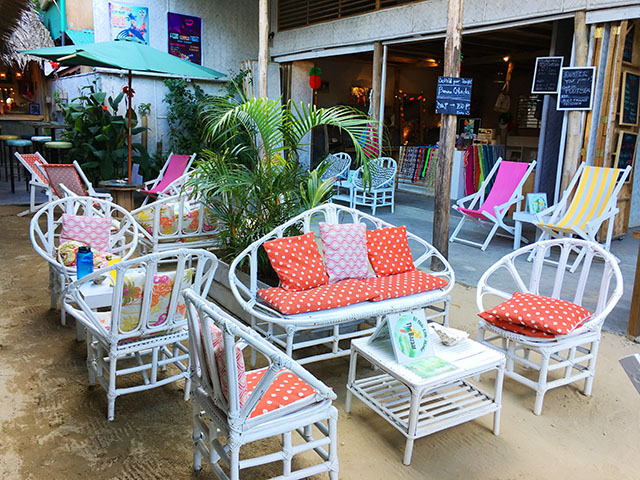 It has a cool vibe, sand floors, and perfectly laid back decor. 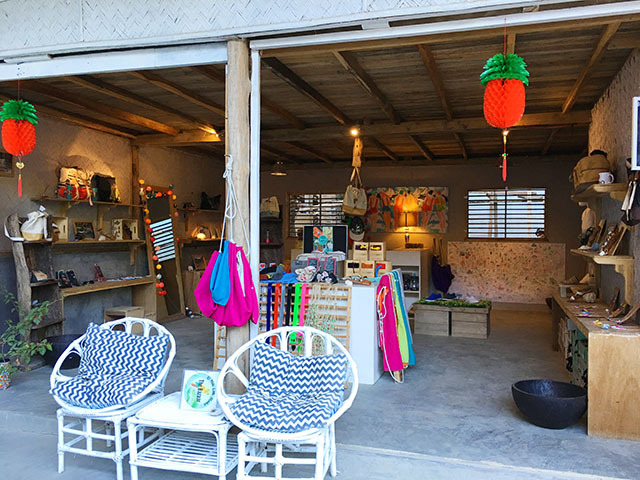 This is where we like to bring friends and shop for ourselves for locally made handicrafts! 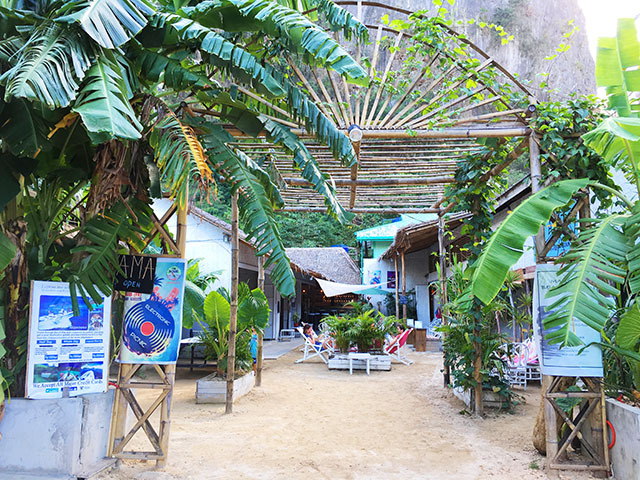 The last time we were here we had a foot massage and foot spa right in the garden, which was heavenly. 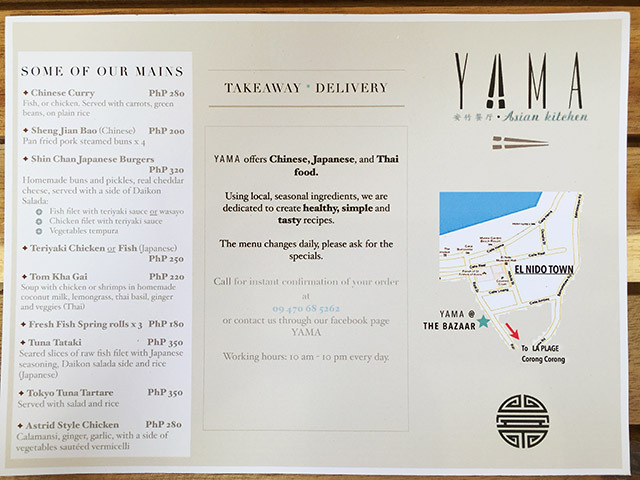 You can order seafood from Kalabar and paninis and tapas from Lolo Banana Bar, but you can place one order for both places. 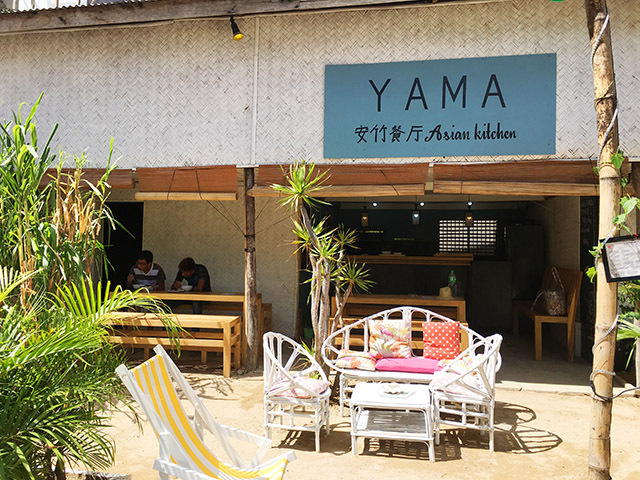 There is also a new Chinese, Japanese, Thai restaurant called Yama that just opened, and it’s a nice addition to the space. 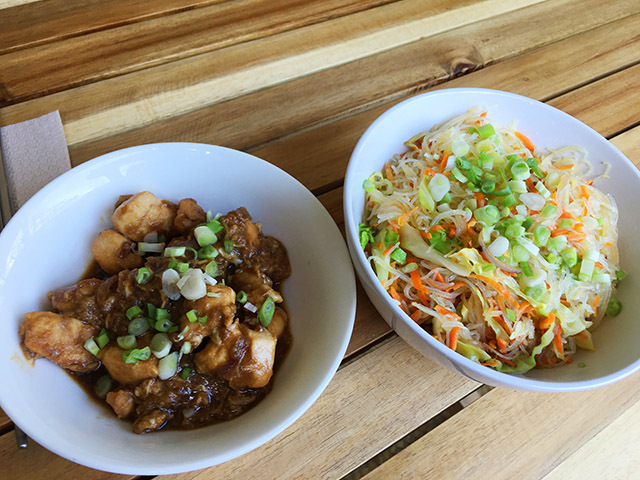 We had the chicken teriyaki and a side of vermicelli noodles the last time we went. 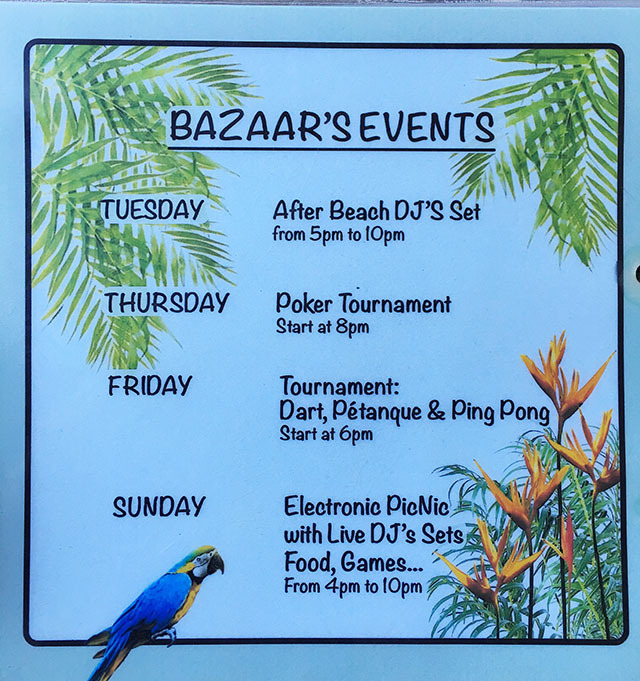 The Bazaar hosts lots of fun events. 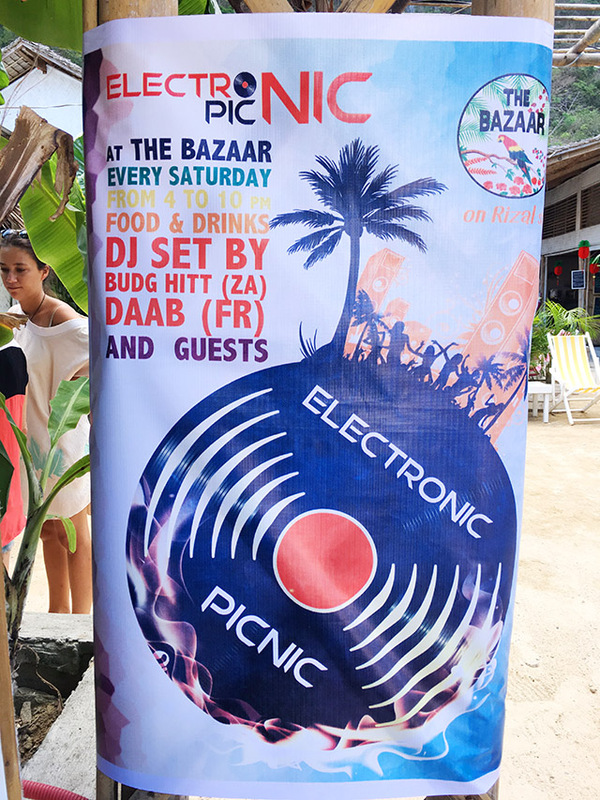 If you’re looking for one of the coolest bar scenes in El Nido, The Bazaar is your best bet!